There's something about being located in Knightsbridge that instantly elevates a place's stature. That a restaurant is situated in not just this high brow London locality but at the stately Mandarin Oriental hotel is proof enough of its impeccable place in society. As snobs in London would have it, eating at standalone spaces is chic but doing a Sunday brunch at a restaurant labelled a bar, overseen by one of New York's most celebrate chefs, is something else. 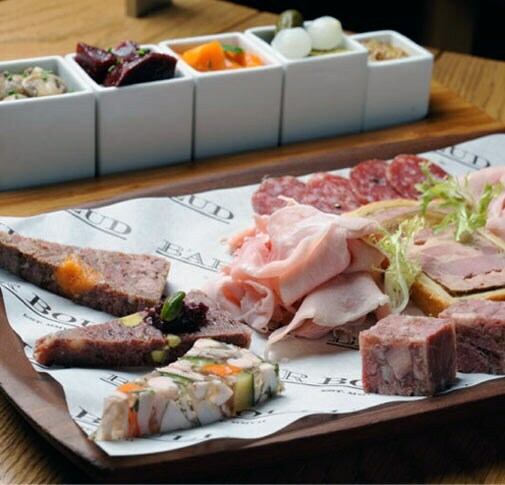 Bar Boulud at the Mandarin Oriental ticks many boxes and above all else what's thrilling is that Lyon-born chef Daniel Boulud's first London outpost does ample justice to his reputation. 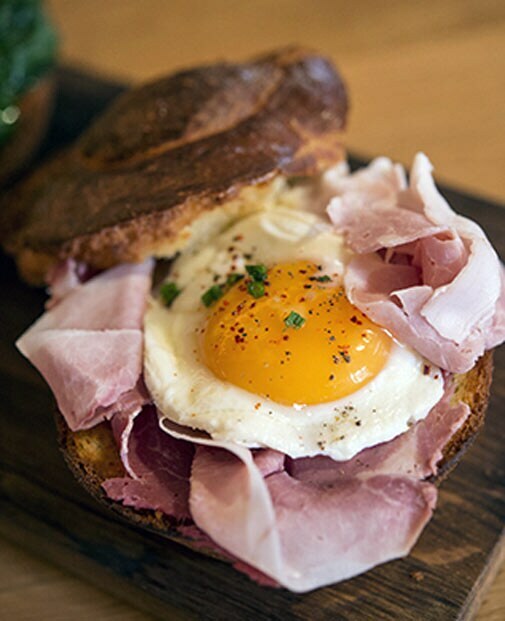 What's not to like about a lavish brunch that draws on the best ingredients in London and combines that with the fine artistry of a chef whose American-French food is worth a rave? Begin with a welcome aperitif of either fruit or root vegetable juice or a Bloody Mary or Bucks Fizz. Quality slips through in the tiniest measures as you sample the ingredients. The starters buffet is a delight, with delicious things like a crab salad, even fresh tuna, served in small shot glasses and tumblers. In the mood for fruit? A bowl of berries and the freshest Greek yoghurt awaits you as does every possible fancy cheese you can think of. The buffet is a good mix of crackle, crunch, soft, and pop in the form of pates and terrines, crackers, and charcuterie from Gilles Verot. You also get the finest wine by the glass so really, this is as good as a Sunday gets. By the time you are done with your greed eat session at the starters station you can't imagine going through mains, but one look at the menu and you think, I simply can't pass this up. I opted for the moules a la creme or steamed mussels with white wine, parsley and creme fraiche. Given the American influences at Bar Boulud the portions are more than generous so think twice before ordering a solo main. Other delicious options include the smoken salmon with a soft boiled egg in brioche, baby spinach and hollandaise sauce and the very popular brunch burger which is heaven on a patty. The interiors are modern and fuss-free and while we had a very good server, the overall service lacked punch and seemed a bit laidback. Don't leave here without sampling the desserts though. While I was not a fan of the orange blossom flavoured panna cotta (too strong), the tarte au chocolat was my guilty pleasure, with its cocoa liquor sabayon and chocolate cremeux. This is the stuff lazy brunches should be made of. Every Sunday from 11am to 3.30 pm for Rs 3,900 per person plus taxes.